Glencroft was established in 1987 by Richard and Justina Sexton as a range of classic British countrywear made from natural fibres including British Wool, Harris Tweed and sheepskin. Based in a 300 year old converted cow barn in Clapham in the Yorkshire Dales National Park. We take inspiration from the rural life and stunning scenery that surrounds us, from our Yorkshire style flat caps and warm chunky jumpers, to our 100% British hand finished sheepskin rugs. 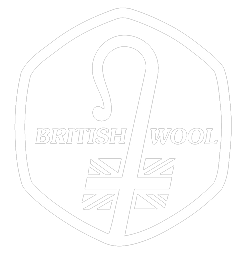 To this day we use the same philosophy as when we first started to manufacture our products, responsibly sourcing high quality materials and creating timeless products that last; nothing fancy, just honest, decent clothing, or ‘proper’ as we say in Yorkshire. Read more about Our Values. Richard has worked in the wool and sheepskin industry since the 1960s and has seen massive changes in British manufacturing over the past 60 years. He remembers when it used to take a week to visit all the different woollen mills across the North of England – we still work with some of the few remaining. His son Edward now also runs the business, ensuring we keep to our traditional business values whilst using all the latest modern technology to best serve our customers and keep them warm and cosy in natural materials. Over 80% of our products are made right here in the UK, many in the same factories by the same people for the past 30 years. The other 20% is made in mainland Europe, again by people and factories that we know, trust and spend time with every year, including gloves and some slippers in Portugal, a country with a long history in sheepskin tanning and manufacturing, and we can also attest to some exceptional wine. Every British sheepskin rug is hand finished and quality checked by Richard using a steady hand. Where possible we reuse every offcut and waste material – either giving to local people and organisations for free, or using for items such as our sheepskin bobble hats or stuffing our sheepskin poufs. We indicate on every page where the product is actually made – and this means the whole product manufacture, not just where the product has been designed or finished or where the material came from. a small rented farm, especially one in Scotland, comprising a plot of arable land attached to a house and with a right of pasturage held in common with other such farms. Glen – Although we are based in the Yorkshire Dales we have always had a strong link with Scotland. A large amount of the shops we have supplied for over 30 years are in Scotland, we use Scottish materials where possible including genuine Harris Tweed and many of the products themselves have a distinct Scottish flavour from tartan scarves to woolly jumpers and tweed caps. We are often told by people visiting Scotland that they discovered a Glencroft label in a shop in the far reaches of the Scottish Highlands and islands. Working with and supporting these small shops has been a core part of our business since we began, and we relish our annual trips to visit them. Croft – As a small family business based in the idyllic Yorkshire Dales we also hope that ‘Glencroft’ evokes the honest rural lifestyle that is at the heart and soul of our business. The brand goes back further than us, it was originally registered as a clothing brand in Glasgow in the 1960s, also known as ‘Glencroft of Scotland’, now long defunct. It was only when we came to register that name in the late 1980s that we were informed of its history and thought it was rather appropriate to take forward into the 21st Century.